From before they were even born, decorating my children’s bedroom has been an ongoing quandary. What colour? Which furniture? What storage? One thing I’ve learnt is that shelving and hooks are a very good thing indeed. These gorgeous eco-friendly shelves and peg racks from Maple Shade Kids look adorable, are totally functional and will last for years in any bedroom or playroom. There’s also an assortment of rather lovely collage pictures to complement the range. 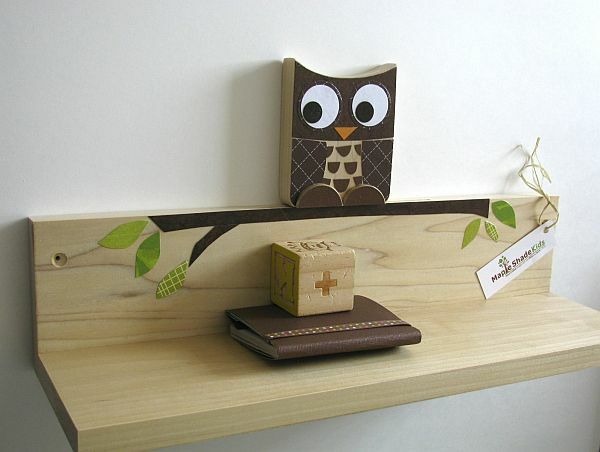 Hand-crafted to order from sustainable wood, with the cutest non-toxic varnished motifs, there’s a wide range of designs to choose from. Each item is gift-wrapped with directions for hanging. What a great idea for a starter gift for any mum-to-be as they set off on the decorating bedroom journey! Prices start at $49 for the collages and $65 for the peg racks and are available locally from Hunt and Gather.